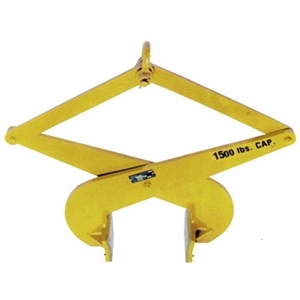 The Model ST Slab Tongs from Caldwell are designed for lifting dry slabs of concrete, stone or metal that must be protected from scratching or marring. Equipped with curved polyurethane pads by default, these tongs ensure proper contact for gripping smooth surfaces and handling a large range of sizes. Commonly used in construction work. A manual latch is standard and locks the tong arms for easy placement of the load. ASME compliant and kept in stock at the factory for quick shipment.